You know how handy and awesome flashlights can be in your carry. Now that you also know what makes for good EDC lights, here are five of our favorites, all affordable enough to add to your kit at under $100. 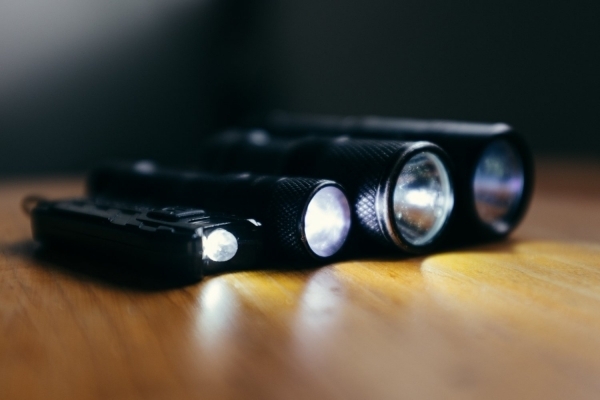 Compared to knives, people have only recently started carrying flashlights on a daily basis. 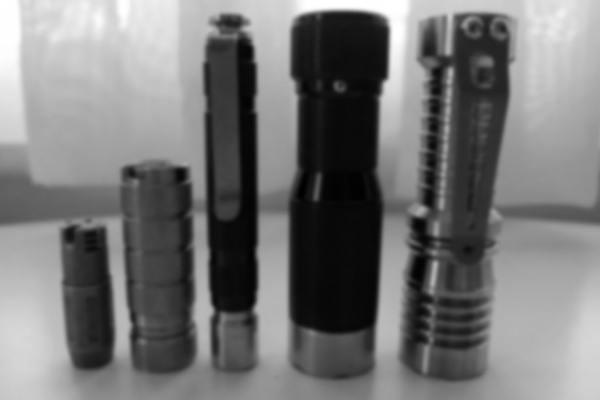 In the past, carry options were limited to giant, dim Maglites or plastic Energizer torches. Since then, innovation in LED, battery, and optical technology brought a new generation of lights that outshine their predecessors. 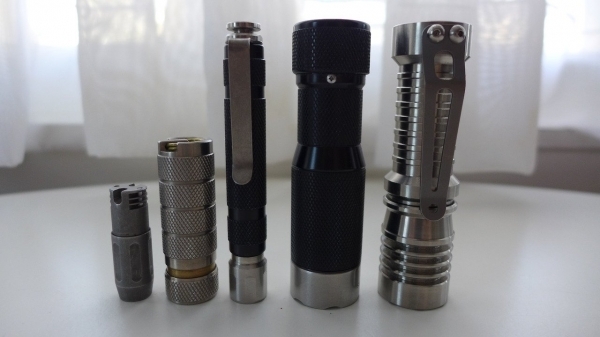 These brighter, smaller, and more useful modern lights are worth including in your EDC. 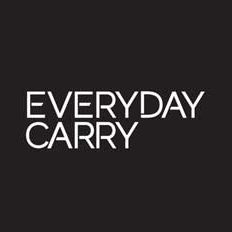 In the second installment of Carry Smarter, we recommend our favorite lights to carry with you. When buying an EDC light, there are many features and technical nuances to consider. If you’re unfamiliar with the terminology, choosing your EDC light can be daunting. Some features are straightforward, such as a pocket clip, battery type, or output. Keep in mind that while there are plenty of great lights that take common AA and AAA batteries, the best of them will require lithium ion or rechargeable cells. Also, there’s more to a light than how bright it is – generally, anything with more than 100 lumens will be sufficient, and anything over 400 is overkill. 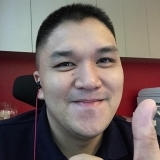 Runtime, beam and tint quality, and a good user interface are just as important as brightness, if not more so. Lastly, some terms worth explaining – CRI refers to a light’s ability to preserve colors accurately (think of how your skin looks under a fluorescent bulb versus sunlight), and tailstanding refers to a light’s ability to stand vertically to act like a candle in an emergency situation by bouncing its beam off of a ceiling for diffuse illumination. With that said, let’s take a look at our favorite lights to EDC. This is the entry level for modern flashlights. Compared to an old Maglite, it’s a revelation – two to three times brighter than the MiniMag on a single AA battery. While it uses a twist, twist-again UI, its modes are well-spaced and fortunately start on low to preserve night vision. The clip is an excellent bolt-on clip, which is unusual at this price point. Most inexpensive lights have flimsy clips that clamp using friction and simply don’t stay in place. Finally, this light tailstands well. A light of this size and price isn’t without drawbacks – on high, it puts out a meager 70 lumens with an overly bluish tint. This tiny jewel truly demonstrates just how far flashlight technology has progressed. It’s only the size of a AA battery, but ten times brighter than the colossal, common 2D Maglite. It not only has a screaming high output, but it also has a beautiful medium mode and a perfect, moonlight low. You’d be surprised just how often its dimmest setting is more than enough to get the job done. No light is a better showcase of flashlight technology than the HF-R. It’s called “Holy Flashlight” for a reason. No flashlight manufacturer stays on the cutting edge of LED technology like FourSevens does. The super compact Atom AL is one of the most affordable lights on the market to use a staged twisty UI – one that accesses output modes by continuously twisting the head of the light in one direction, without needing to toggle on and off to change modes. If you’ve been turned off by hassling with complicated UIs, using the Atom AL will spoil you – it’s amazingly easy to use. The light is also compatible with a headstrap for hands-free work (or if tremendous dork is more your style). While the diminutive D2 comes in at only 1.5” long and 0.5” in diameter, its ability to reach a 100 lumen high is no small feat. In addition to its impressively compact design, the D2 is unique in that it operates using a quantum tunneling composite (QTC) UI. The QTC material in the light varies its conductivity with applied pressure – in the absence of pressure (twisted off), the material acts as an insulator and the light stays off. Twisting the light compresses the material, increasing its conductivity to produce infinitely variable output. Although QTC lights can be inconsistent when dialing in a desired output, the well-machined fine threading on the D2 mitigates jumps in brightness levels and allows for more a more stable, precise output. Much like the smooth, heavy knobs of quality, vintage audio gear, the HDS Rotary’s selector ring provides a classy, silken feel and very intuitive user interface. Using the ring, you can seamlessly dial into one of 17 separate outputs, as the jump from one brightness level to another is so subtle, it’s virtually unnoticeable. Additionally, you can select brightness and then turn on the light – allowing for convenient, direct access to your desired output without the hassle of cycling through modes and ruining your night vision. The Rotary’s stroke of genius that sets it apart from the many selector ring click lights on the market is its design. Putting the click button and selector ring in such close proximity allows for one-hand operation. Add to this a 200 lumen output, immaculate fit and finish, and a build quality so robust it turns tanks green with envy, and you have one of the most praised lights ever made. As such, they aren’t easy to come by. Jason Hui of Prometheus Lights is no stranger to making quality lights, with his full-sized, custom Alpha flashlights under his belt. The Beta-QR is Hui’s sophomore effort – a smaller, more mainstream production light that maintains the look and feel of a custom light. Fortunately, it isn’t as expensive as its luxurious design would suggest. Its unique list of features starts with an ingenious quick-release method of connecting to a keychain. Above all, it boasts a beautiful and uncommon Nichia 219 emitter, producing beautifully accurate light with a CRI of 93 out of 100. Even for the discerning flashlight enthusiast, the McGizmo Haiku needs to be experienced to understand why it costs a hefty $500. Simply put, there is no flashlight in the world that can fit in your pocket and do things as well as the Haiku can. It can be fitted with a high CRI emitter and operates via a fantastic clicky UI. It’s supernally beautiful and incredibly well made. And yet, the Haiku’s success lies in its reflector – it’s been tweaked and redesigned until it reached an unparalleled usefulness, able to balance the light’s smooth, flawless beam between flood and throw better than anything else on the market. Even though it has a maximum of only 140 lumens, you’ll reach for the Haiku first and frequently for lighting tasks. $500 for a flashlight is quite an investment, but if you need the best, the Haiku delivers. One of the best lights in the world regardless of price, the SC52 can do it all. It has the versatility to reach over 250 lumens on a single alkaline AA battery or an utterly amazing 0.01 lumen low for a three-month long runtime. Zebralight has worked extensively and almost exclusively with AA battery lights. While other manufacturers relied on the newest LED or most powerful battery on the market, Zebralight focused on efficient circuitry for the common AA. The result of their efforts is absolute mastery of the battery like no other, giving us a light with runtimes and outputs that lap the competition.